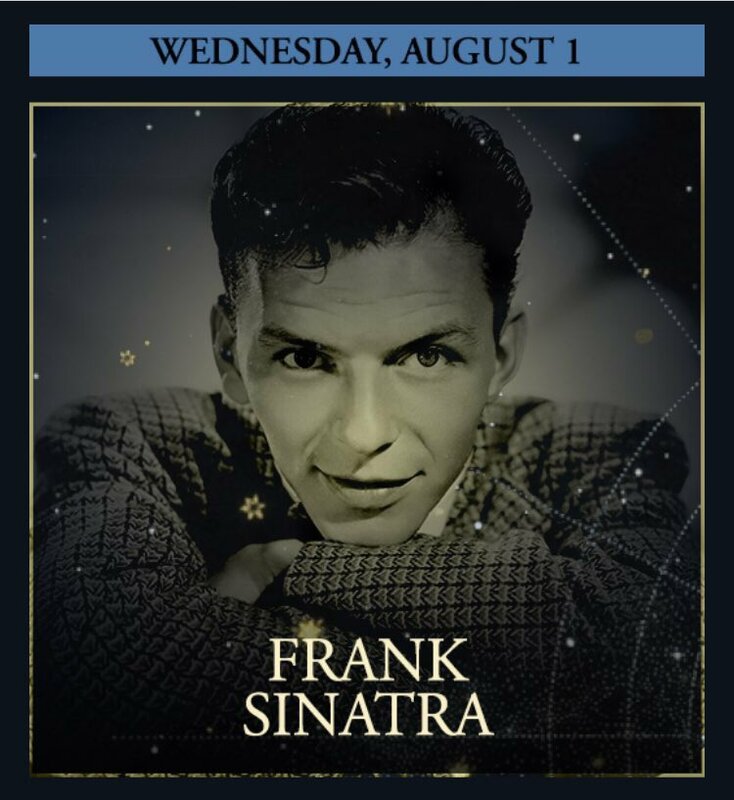 Young at Heart, the song, is wonderful, sung effortlessly and beautifully by Frank Sinatra. 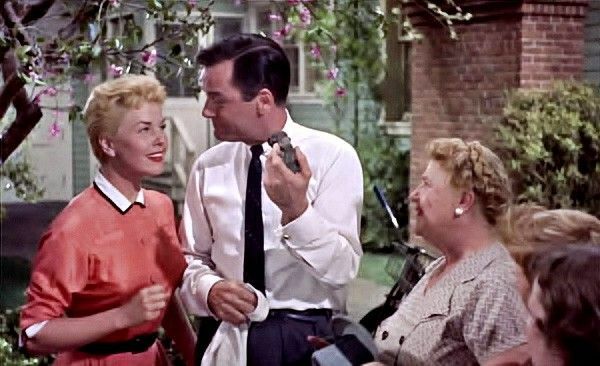 Young at Heart, the film, is boring, pointless, at times almost idiotic with nothing to recommend it except Doris Day, who ironically is the biggest name in the film not to ever win an Oscar. The Tuttle family is deeply immersed in music. Father Greg (John Keith) looks over his somewhat spinster-age daughters: Fran (Dorothy Malone), Amy (Elisabeth Fraser) and the youngest, Laurie (Day). Each has a special skill: Fran the oldest is a harpist, middle daughter Amy is a violinist, and Laurie is a pianist and singer. Spinster Aunt Jessie (Ethel Barrymore) watches over them, with a quick quip ready for them. Into their lives come a group of men. Fran is squired by Bob (Alan Hale, Jr.), a jolly wealthy guy she likes but isn't passionate about. Plumber Ernie (Lonny Chapman) has eyes for Amy, but she seems unsure, which is odd given he dresses in a suit and tie to fix the sink apparently just to impress her. Laurie appears to have accepted her fate as an old maid, when the hunky Alex Burke (Gig Young) comes to visit her father, a friend of his father. Alex has eyes for Laurie only, but both Fran and Amy find themselves sparked with desire. Laurie is clearly the one he cares for, and soon Laurie finds herself falling for Alex. Alex, a composer, calls on his other friend to help arrange the music for a musical, a form the elder Tuttle looks down on. It's Barney Sloane (Sinatra), as sad a sack as ever to walk. Eternally cynical and jaded, he's convinced life is out to get him and finds no joy. Alex proposes to Laurie, and she accepts. This affects everyone in different ways. Fran's torch for Alex is light, so she agrees to marry Bob. Amy, however, falls apart. Aunt Jessie realizes Amy is also in love with Alex, who treats her like a kid sister. Laurie is shockingly oblivious to Amy's state of mind, thinking her tears are a result of being separated. Barney, also in love with Laurie, sets her straight, and it isn't until she sees Amy dissolve in more tears after helping Alex with his tie on the wedding day that she sees what anyone with an ounce of intelligence could. That very day, as everyone waits for Laurie to get home and have the wedding, the Tuttles receive a telegram from her. She tells them she just went off and married Barney! Cut to a few years later. Barney and Laurie appear miserable, largely due to Barney's continued personal malaise. He's managed to publish a few songs, but they've flopped, confirming his dark worldview. At Christmas, they reluctantly go to visit her family, where they're in for a few surprises. Surprise Number One is that Amy and Ernie are now engaged. It seems Amy realized that her feelings for Alex were puppy love, but seeing Ernie take charge the day Alex was jilted showed Amy another side to our well-dressed plumber. Surprise Number Two is Alex, who is still with the Tuttles. He seems to be handling things well, but we still sense the passions between him and Laurie. Surprise Number Three is that Laurie reveals she's pregnant, but hasn't told Barney yet. Barney and Alex part company, the latter more successful and Barney at the end of despair. In the heavy snowstorm, Barney turns the wipers off and keeps driving. An accident is reported, and at first Fran thinks it's Joe who is at death's door since it was his car. Soon the truth is revealed, but in a nod to either a happy ending or Sinatra's growing ego (take your pick), Barney survives, has a hit song and a new lease on life with Laurie and their new baby, who is hopefully just nicknamed 'Lightning'. Young at Heart is a remake of Four Daughters, though for this version they bumped one daughter off. The best way to describe Young at Heart is to say one should buy the soundtrack and skip the movie. The songs are great, and that's no surprise given Young at Heart features two of the finest voices of the Twentieth Century. You've got Day singing I'm Ready, Willing and Able and Till My Love Comes to Me, showing her extraordinary vocal range, easily going from slightly racy and coquettish to tender and lush. Sinatra's take on Just One of Those Things and especially One For My Baby (And One More For the Road) are truly perfection, though with the former, he makes it melancholic more than the usually upbeat, breezy take most singers use on it. It is a shame though that it isn't until the very end that we heard them in a duet, with the last few lines of You, My Love. Ah, what these two could have done together musically. The singing was great. It was everything else that was just awful. Under director Gordon Douglas, Young at Heart seems very false, very rehearsed and unnatural. You got the sense that almost everyone was going through the motions and failing to make the characters 'real'. There was a strong sense of artificiality to the whole enterprise. It may be unfair to compare films, but I could not help thinking that Young at Heart was trying to replicate something like On Moonlight Bay, which also centered around family. While the latter benefitted from being a bit broader and having everyone younger, the latter floundered in that you cannot believe these people would do what they did. Chief among the problems is Sinatra. First, it takes well over half an hour for his character to come in, in an exaggeratedly cinematic style to begin with, appearing almost as if he were a villain. Second, he had just come off his Oscar for From Here to Eternity, but there, the character was pretty much like him in real-life. Here, Sinatra is trying too hard to be 'actory', to show he was some great thespian. He failed, as I never bought the notion that Barney was anything other than a perpetual whiner. Sinatra went overboard in playing the cynicism to where it became comical. It's a bad sign when you want the character to meet his end. Young at Heart also ironically makes the case for Alex over Barney as the better match for Laurie. Poor Gig Young: always playing second banana and 'the nice guy who loses'. In the film, he is charming, congenial, pleasant and pleasant-looking, who loves Laurie and essentially ignores the other girls who are nakedly making gaga-eyes over him. Given Laurie's more upbeat and optimistic personality, it is bonkers to think she'd through away the similarly-mannered Alex for the perpetually dour Barney. It's even more idiotic to think she'd do it to clear the way for Amy to go after Alex. This is doubly idiotic given Amy plays hot and cold with Ernie. Despite being older than Laurie, you would have thought Amy was the baby, given she behaved like one. At least with Malone's performance, you sensed Fran's feelings for Alex were more physical than emotional. You get the sense with Fraser that she was totally besotted with Alex to where you feared for the safety of any bunnies in the area. Barrymore really added nothing but that was due more to the script than to her, for she was essentially sidelined save for a wisecrack which didn't seem to come easily for her. Day was the only one actually acting, and doing a wonderful job not just in the singing but in showing that despite all logic she did love our world-weary Barney and was conflicted over Alex. Young at Heart kept losing opportunities after opportunities, down to perhaps having the title song be the 'hit' song that saves Barney from death (even if I wish he had died and Laurie married the more affable Alex). It's a misfire save for the soundtrack.